The Memorial Day Weekend has dozens of tune-sweet acts and family fun times, too. Lee Rocker and a host of acts will rock the 2016 Sacramento Music Festival. A STREET OF FESTS: We sometimes encounter a lane that has nothing but clothing shops, or a cul de sac that's mostly made up of restaurants, or a thoroughfare that's comprised of small comedy venues. All cool stuff, but it makes us long for the sort of avenue where summer music festivals could set up shop, one next to the other, so that fans may partake in all of the hundreds of acts, and dozens of chef appearances, and oodles of kid to-dos, and bunches of special events that go into making a mega sound-centered spectacular. Alas, some long-view entrepreneur has not yet developed such a street, where all warm-weather fests can live side-by-side, but we can venture out and visit some of the biggies, like the famous Sacramento Music Festival. YOU'RE CORRECT, if you just said "isn't that a four-day Memorial Day Weekend happening?" It is indeed, meaning it is on the large-ish size-ish for a festival, a total plus considering all of the good things it folds in. Prepare for a "safe, four-day, all-day party featuring LIVE music, 100 unique performances, street dancing, animated parades, instruments booming, and great food and drink in an energetic atmosphere," so, yep, it has it all going on. On the tuneful side of things? 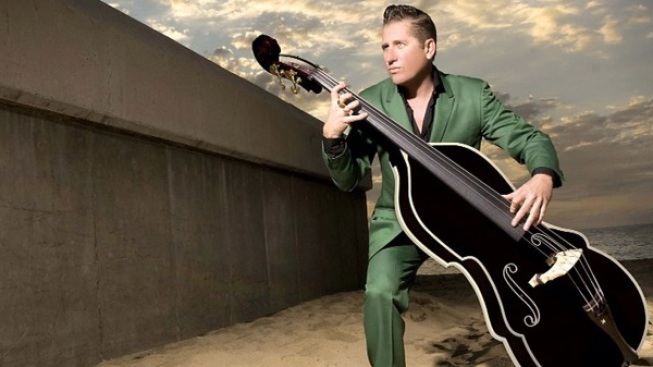 Lee Rocker of The Stray Cats'll get the crowd hopping, as will Big Bad Voodoo Daddy. Pablo Cruise, Dixie Company Jazz Company, and dozens of other summer's-on-the-way acts fill out the big (big big) bill. Need to kick off the warm/whimsical season with a large-scale festival full of festive moving parts? Look to Sactown for the sound party you crave.